Paltalk.com is a popular site which includes a mobile app for chatting; also video chat panel which you can just download via paltalk.com and video calls. 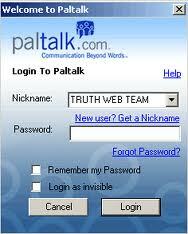 Paltalk is a free chat system and you can download it on Paltalk.com for free. After you download it, you can join any group or you can get your own group here. There is video and voice chat, mobile chat and free video calls with multiple friends is available.